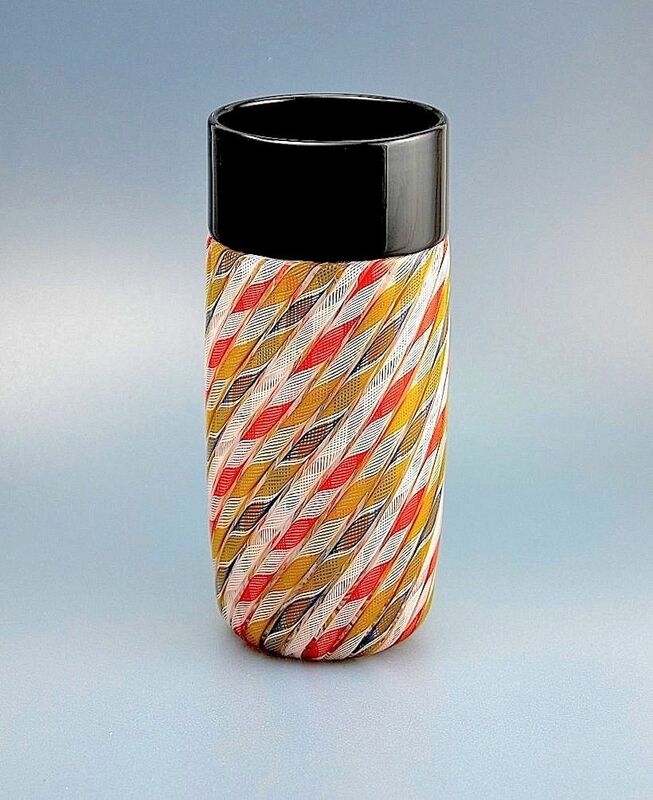 This lovely zanfirico cane and black incalmo topped vase was made by Mike Hunter for Twists Glass in 2013. There are 28 alternating zanfirico canes twisting around the vase, 7 are white, 7 are red & white, 7 are light olive & white and 7 are light olive, grey-blue & white. The vase has a black incalmo top and is signed "Mike Hunter Twists 13".